Selecione até 7 pessoas no total. 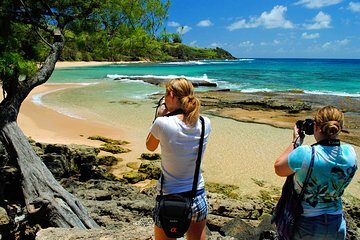 Capture alguns dos cenários naturais mais espetaculares de Garden Isle em uma visita guiada às margens norte e leste de Kauai. Dirija até algumas das paisagens mais inspiradoras e fotogênicas da ilha e saia para explorar a pé e criar os ângulos perfeitos. Obtenha dicas sobre iluminação, composição e técnica de um fotógrafo profissional para que você possa voltar para casa com uma coleção de belas imagens dignas de quadros para registrar suas férias em Kauai. O tamanho do tour é limitado a sete para uma experiência mais personalizada em pequenos grupos. This was an informative tour. Our guide, Levi was very helpful with helping everyone with their cameras. He also gave tips when taking photos. He was also very knowledgeable about the area. I can highly recommend the two tours I experienced with this company....the ride and walk tour and the ride and hike tour...each was approximately 5.5 hours at different sites around eight different sites. Groups are small and bottled water with snacks are provided. Levi, our tour guide, was so professional and very knowledgeable about photography. 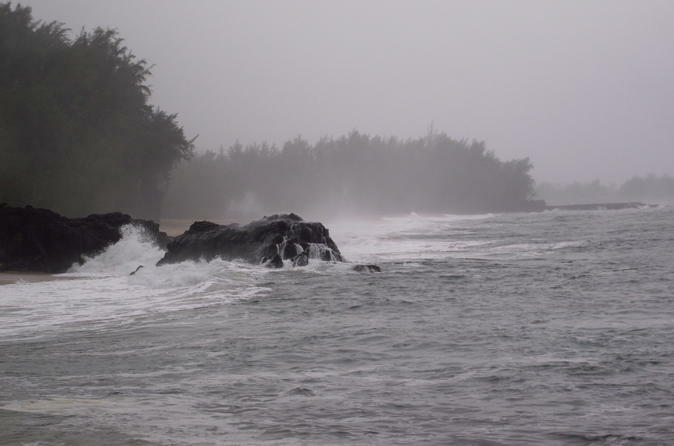 As an amateur, I learned a lot about my camera and Kauai. He was eager to answer any questions we had and went out of his way to provide an exceptional experience each time. I would highly recommend this company for anyone who is interested in photography and even a tourist with a camera on their Smartphone. I went away with some outstanding photos! Each tour is well worth the price! The photo tour was excellent! The guide took us to several remote beaches, gave me pointers on photography and helped with general questions. We worked around the rain and I came home with some great photos. Levi was a. very nice guy ! He knows about photography. We have some great pictures !